from half passed 3 in the afternoon. And she was lucky enought to capture the setting Sun. 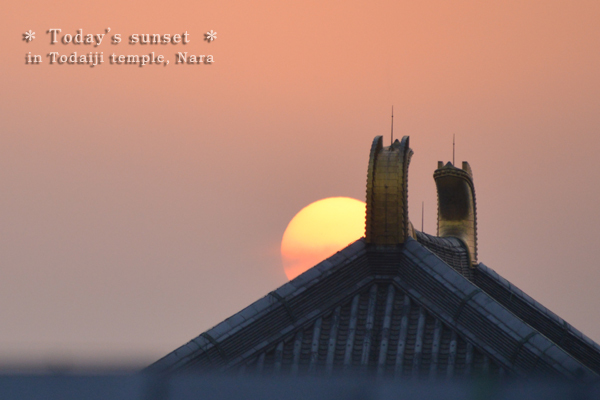 With end tiles on the top roof of Todaiji Temple.